Between the 28th-29th of November 2017, the Romanian delegation led by the Secretary of State in the Ministry of Energy, Robert Tudorache, attended the 28th Energy Charter Conference, organized by the Turkmen Ministry of Foreign Affairs and the Energy Charter Secretariat in Ashgabat, Turkmenistan. The Energy Charter Conference, organized in December 2015 in Tbilisi, formally approved the takeover of the Presidency of the Energy Charter Conference by Romania in 2018, our country being the first EU Member State to take this position since the establishment of the rotating presidency principle at the level of the Charter Conference (2014). Iulian-Robert Tudorache, State Secretary within the Ministry of Energy, was designated President of the Energy Charter Conference last year. Improve the security and safety of cross-border energy flows – the transit of energy is regarded as a critical energy security issue. 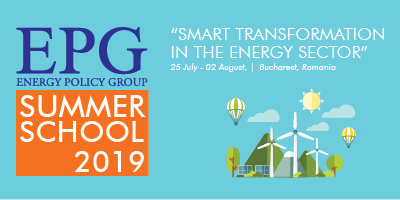 In order to achieve the objectives, Romania will organize a Conference and two related events during the Presidency of the Energy Charter Conference, namely a Forum and a Seminar, which will debate the above-mentioned priorities in the following chronological order. Bucharest International Energy Charter Forum ‘Energy efficiency – a priority in combating energy poverty and providing access to energy for all’; the event will take place over two days, will be organized in discussion panels, and will involve the participation of an estimated number of 100 people. Seminar/reunion Industry Advisory Panel on ‘Security of cross-border energy flows and intelligent technologies’; the event will last one day, will be organized in two parallel sessions, and will involve the participation of an estimated number of 100 people. 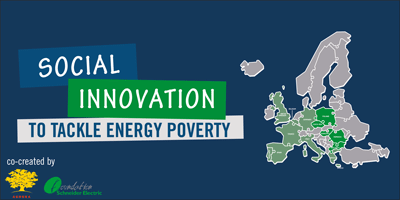 The theme of the Energy Charter Conference will be ‘Towards increased energy security and prosperity through a stronger cooperation on innovative technologies’; the conference will be held over two days: the first day (November 27th) will be dedicated to statutory debates, and the second day (November 28th) will be dedicated to ministerial debates. The event will involve the participation of approximately 300 delegates from 70 countries. Romania, as the first EU Member State to undertake the Presidency of the Energy Charter Conference in 2018, will continue to promote a global vision on the role that the Charter can play on progress towards a secure, accessible, and sustainable energy future. Romania is convinced that the international energy architecture requires the convergent approach offered by the Energy Charter process, with interests and rules based on the contribution of all stakeholders and a common understanding and observance of laws. In view of the above-mentioned priorities, Romania will promote, during its Presidency of the Energy Charter Conference, meetings of working groups and other organized events. Additionally, Romania will promote a structured and strategic discussions within the Energy Charter format to improve the adequacy of the Charter’s objectives in relation to unprecedented changes in the energy market and technological progress (modernization of the Energy Charter process). Another important process that will take place during the Romanian Presidency will be the Modernization Process of the Energy Charter Treaty. The Energy Charter Treaty (ECT) has become an important instrument that can provide a solid legal basis for ensuring and promoting stable and sustained investments in the energy sector. As the International Energy Charter process demonstrates, a modernization process may be needed to contribute to a broader and more coherent understanding of the global energy security challenges, as they are manifested today. As Energy Charter debates should focus on the key aspects of the Energy Charter Treaty, the modernization process will first have to address the issues of energy investment, investment protection, trade and transit, and the settlement of disputes. Also, an updated interpretation and application of the Treaty will be needed to meet the expectations of the energy industry and contracting parties, and encourage the participation of observers in a more active way in the process so that they eventually become contracting parties.